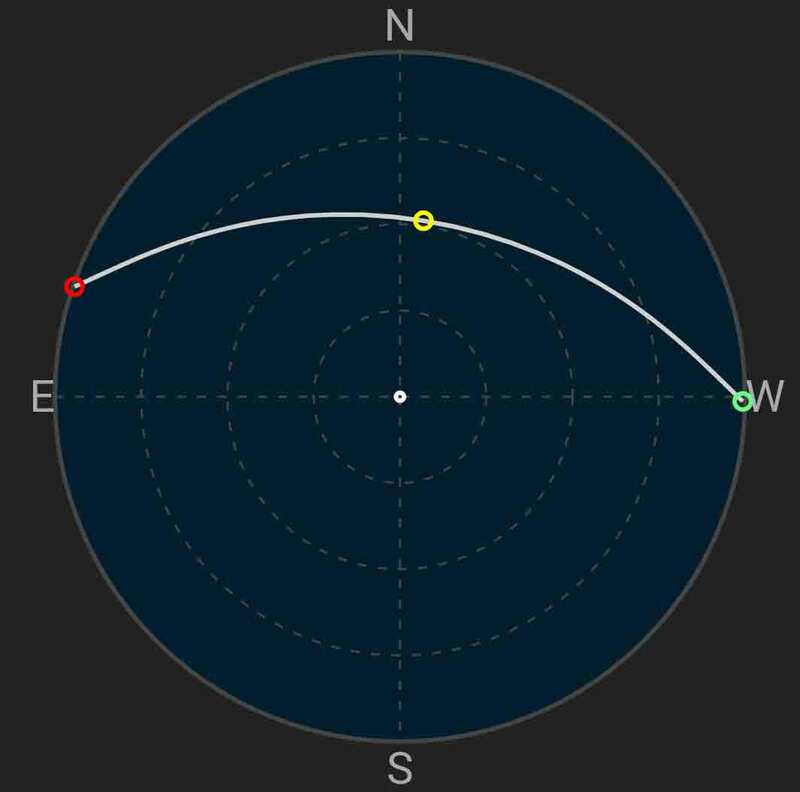 Astrospheric is now adding ISS flyover information to your weather forecast. When a visible ISS flyover is predicted, it will show up on your weather timeline as a small satellite icon with a time next to it. If you tap one of these times Astrospheric will show the expected path of the ISS through the sky for your current forecast location. East/West can be mirrored depending on your preference (default is mirrored similar to a star chart). 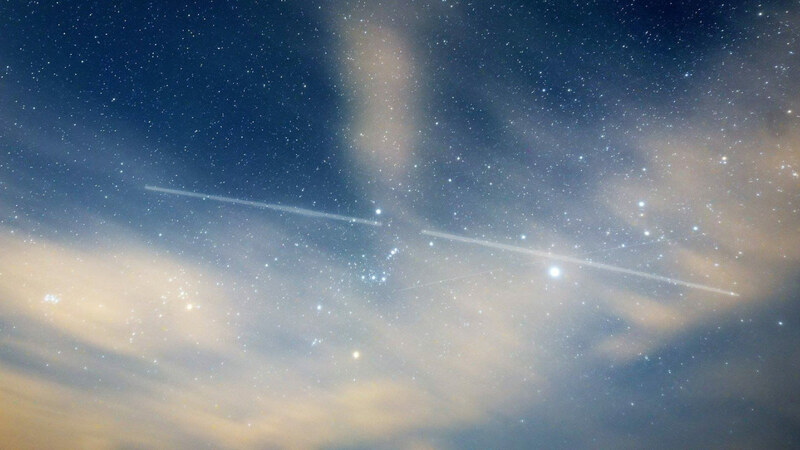 Visible ISS flyovers occur in the hours before sunrise or after sunset, when the sky is dark but the ISS remains in sunlight as it passes above you. I’ve chosen to place the times on the forecast regardless of the weather just incase the weather forecast is incorrect. Why beta? There is still more to come! 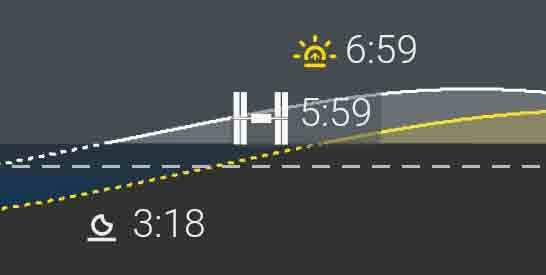 Things like transit times in front of the sun or moon are fun to know. Also, the detailed ISS path does not yet calculate when the ISS may enter or exit the Earth’s shadow, which can happen as the satellite passes over you.